The Fox Innovation Lab are all set to finally release their virtual reality tie-in with last year’s sci-fi blockbuster The Martian starring Matt Damon to a VR headset near you as the title launches tomorrow on both PlayStation VR and SteamVR platforms. I was lucky enough to go hands-on with The Martian VR Experience at CES at the beginning of the year and came away impressed, entitling the article on the experience “A Triumph in Motion.” At the time, the platforms I trialed it on (HTC Vive and Oculus Rift with Touch) were still months from release and as a result, despite the high level of finish and polish evident in what I saw, Fox Innovation Lab (the VR-focused division at 20th century fox tasked with building the title) have waited until now to launch. The Martian VR Experience represented at the time the best experience of its kind I’d yet seen, that is, an application that designed as an accompaniment an original film – a good old fashioned movie tie-in. 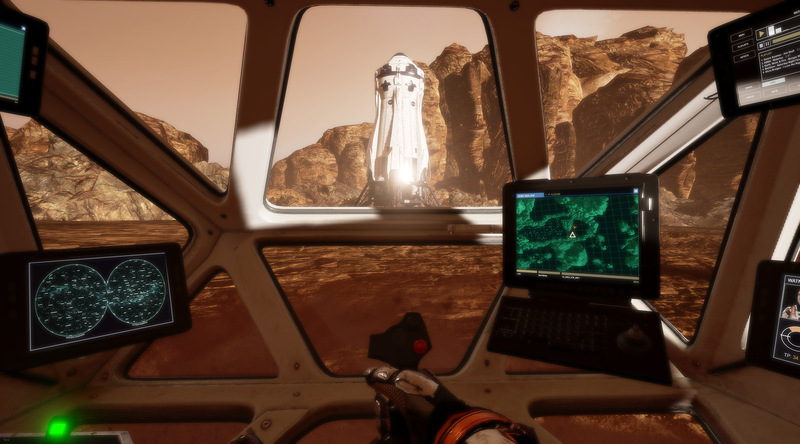 Unlike many other examples of primarily marketing-lead immersive attempts that we’ve seen since VR’s renaissance began, The Martian VR Experience represents an offering that works as standalone entertainment and at the same time, it manages to push expectations of visual fidelity and polish for applications of these types up a notch or two. 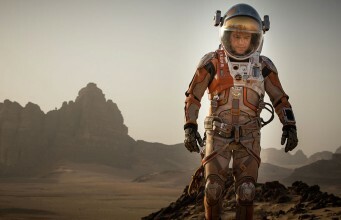 Executive produced by Ridley Scott and directed by Robert Stromberg, The Martian VR Experience is described as “an interactive, immersive adventure with viewers participating from astronaut Mark Watney’s perspective, performing tasks that will facilitate his chances for survival.” Players get to fly through the Mars atmosphere in zero gravity, grapple with Watney’s all-terrain rover, there’s also snippets of the film thrown into the mix to remind you of the original inspiration behind the experience. “I’ve always tried to approach film-making from the standpoint of creating an immersive experience. Now with the tools that are available to us in virtual reality, we can raise the bar even higher. The audience can experience storytelling in ways we previously could only imagine,” said Ridley Scott, Executive Producer of The Martian VR Experience and co-founder of RSA Films. “Mars has never been closer to being within our grasp and I’m so thrilled that we can invite people into The Martian VR Experience.” Scott himself narrates the new launch video for the experience too, which you can watch embedded above. The Martian VR Experience will be available from November 15th on PlayStation VR and on SteamVR for the HTC Vive. No mention of support for the Oculus Rift, but given the reliance on motion controls it’s likely this will appear later once Oculus Touch has found its way into users homes next month. The experience will be priced at $19.99 on release, which may present a high price for those looking for hours and hours of gameplay in return for their money. We’ll have impressions on the final release version of the experience and on whether we believe it’s worth the cash soon. The post ‘The Martian VR Experience’ Launches on PSVR and HTC Vive Tomorrow appeared first on Road to VR.